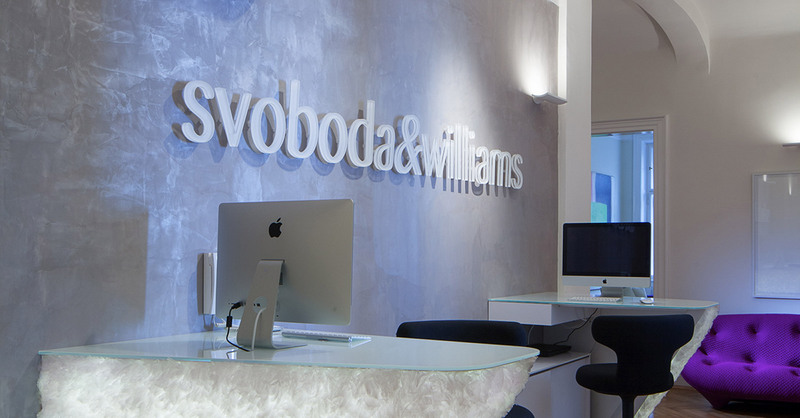 Svoboda & Williams is one of the Czech Republic's oldest and most trusted names in real estate. Whether you are buying, selling, investing, developing property, seeking a home or offering one for rent, our partnership and all-professional staff provide the security, knowledge and support you need. As Svoboda & Williams and FeelHome we provide sales and rentals of the finest residential and commercial properties. We specialize in high quality properties. As of 2017 we are the exclusive Affiliate of Christie’s International Real Estate for the Czech Republic and Slovakia. This global real estate network includes brokerages in 46 countries all around the world. The affiliation with Christie’s International Real Estate will allow us to market select properties from our portfolio globally and to offer local buyers premium properties abroad. Our team of expert property specialists provides you with the assurance and confidence you need in your real estate transactions. The firm’s founders are Managing Partner Prokop Svoboda, with 15 years of experience in the Czech real estate market, and Senior Partner Marion Williams, with more than 30 years of real estate experience in the United States and the Czech Republic. Everyone on our staff speaks fluent English and we have many other languages represented as well. Our company seat is located in the city center of Prague on Na Perštýně Street in charming Old Town. In 2014 we established our Brno branch, which is situated on Biskupská Street. Svoboda & Williams is a first-class, full-service real estate agency prepared to smoothly assist you with all aspects of real estate in Prague. From buying to selling, or property management and renting, to legal and financial matters, we have the knowledge and expertise, which has made us top in our field. Our complete range of services ensures that we can assist you with every aspect and stage of your property or service search, from legal and financial matters to buying, designing, and building. Our multi-lingual staff are committed to helping you achieve your goals. Those looking to buy or sell properties, or simply make a lucrative investment have long put their trust in Svoboda & Williams to take care of their real estate needs. Svoboda & Williams is well versed in all types of real estate needs and transactions and is foremost in residential sales and rentals in Prague. Svoboda & Williams has built up an impeccable reputation for offering the most impressive properties on the market and backing up an excellent property catalogue with first-class customer service and attention to detail. We have many years of experience in the field of renting residential properties and offer a full spectrum of services to both landlords and tenants. We offer extensive commercial real estate services. Our goal is to provide clients with prompt and professional services in the areas of leasing, landlord representation (L-Rep) and tenant representation (T-Rep). We cover all areas of commercial properties, focusing on leasing of office and retail space. Thanks to our long-term presence in the real estate market, our clients can profit from our knowledge of owners and tenants as well as of the changing dynamic of the commercial real estate market. its development and the follow-up service. For many years, Svoboda & Williams has been providing comprehensive, professional property and technical management services in Czech and English. Our services are primarily used by private investors, individual property owners and owners’ associations. We provide property management services for individual apartments as well as economic and technical management and maintenance for whole buildings. Our services include cleaning and gardening. In addition to a wide range of real estate services, Svoboda & Williams also offers a plethora of supporting services to assist you. These include but are not limited to investment planning and implementation services, marketing services, legal assistance, relocation services, financing and mortgage services, short term and serviced apartments or hotel accommodation, and comprehensive Lifestyle guides to help you get the most out of Prague and Brno. Our multi-lingual staff and can-do attitude coupled with a superior level of customer service means that you can depend on us to have the experience and expertise to attend to your every need.